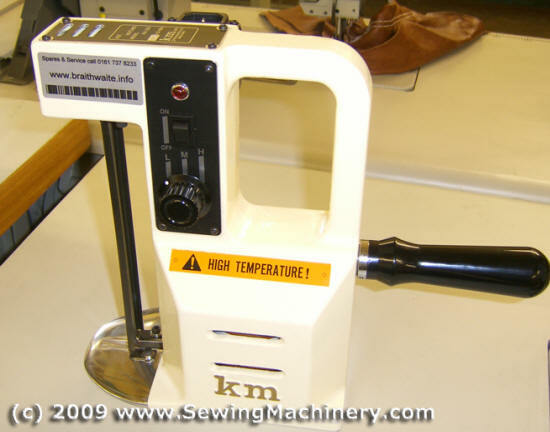 The Hot Notcher is a multi-purpose tool used for marking or temporarily fusing fabrics etc. It is ideal for placing notches in a lay and has a depth adjustment guide to stop you notching too deeply. For example when you spread synthetic fabrics the Hot Notcher is used along the lay edge, at intervals, to seal the plies together which reduces movement and distortion. It has a depth capacity of 200mm and selectable temperatures of 300, 400 or 500oC. The Hot Notcher marks a visible notch on materials instead of a cutting machine slit which is hard to see.